Two days ago the Hawthorn Football Club won their third successive Australian Football League premiership. This feat has only been achieved 6 times in the history of the AFL. I'm not a supporter of the club. I do admire them greatly. Their Play Your Role campaign is one action you can emulate and immediately improve your business. For a quarter of a century I've been helping my clients to dispense with job descriptions and replace them with role clarity statements. It all began when I met Bill. I first met Bill in the early nineties. I was in the early days of doing discovery work into how I could best help Bill's organisation. This meant meeting with lots of people in the offices and factory. I began to notice that each time I exited a conversation Bill was close by leaning on his broom. Soon curiosity got the better of me and so I made a beeline for Bill. After explaining who I was and what I was doing I asked Bill "So what's your role?" "I thought you'd never ask me." he replied and then said "I'm the Assistant to the Managing Director. Bill's job was Head Cleaner. His role was of far greater significance. I invested several hours with Bill and learned everything I needed to know about the organisation. Included in what I learned from Bill were two insights he had previously passed on to the management team that they had failed to act on. When they did take action the bottom-line improved by 4 million dollars! What have your employees been sharing with you lately that you haven't yet acted on?! 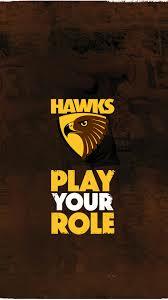 Like the Hawthorn Football Club every person working in your business has a key role. Not just the star players, every human being. If you're focused on a few and not the many you're missing a magic opportunity in your business as I explore here. When everyone is playing their role you win. Begin today to have conversations with your employees about their roles. Over time get rid of job descriptions and replace them with role clarity statements. Here's some further reading to help you to take action. There's a template for role clarity in the second article. Your work is not your job. Dispense with job descriptions and watch your people soar. PS Maybe I can help you to take action. Call me on +61 418 807 898 to arrange an off-the-record chat. When we talk I promise to give you one-great idea. Of course, if we’re a great fit for each other and you’d like to discuss how we could work together going forward, fantastic. On the other hand, if either of us decides we’re not a great fit, no worries – you’ll still get top value from me that you can use straight away. So if that all sounds like a great fit for you and your situation, let’s have that off-the-record chat, shall we? I've been contemplating for some time about providing an online resource centre you could access with my compliments whenever you wish that would contain short, succinct stories (like the one above) of simple yet profound solutions to the every day challenges you're facing in your business. I'll be taking whatever action responses dictate. Thank You in advance for your help.